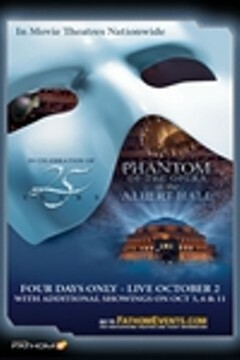 Phantom of the Opera 25th Anniversary Encore | Style Weekly - Richmond, VA local news, arts, and events. 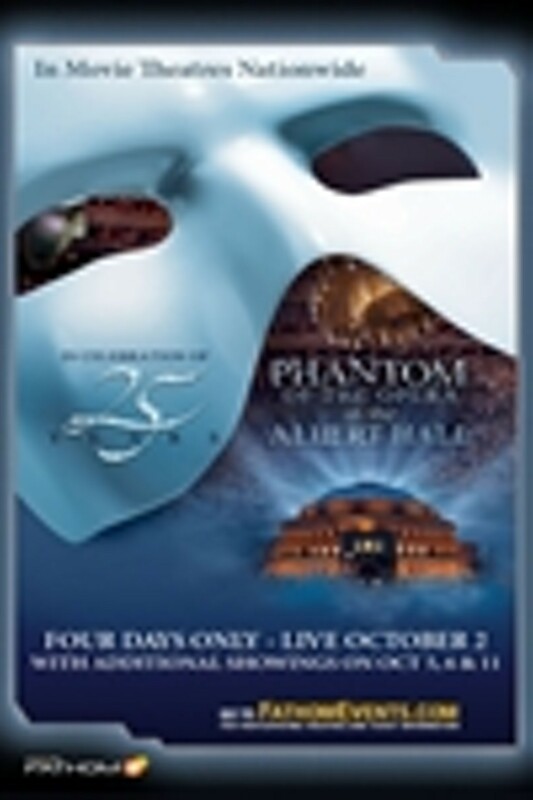 NCM Fathom and Omniverse Vision are partnering to celebrate the 25th anniversary of Andrew Lloyd Webber's history-making The Phantom of the Opera with a fully staged musical celebration broadcast from London's Royal Albert Hall. Broadway's longest running show, seen by over 100 million people worldwide, comes to life on the big screen for a special event featuring over 200 cast members, orchestra musicians and luminaries involved with The Phantom of the Opera over the past 25 years. The Phantom of the Opera 25th Anniversary provides a once-in-a-lifetime opportunity for viewers to experience one of the most beloved musicals of all time from their local movie theater. Phantom of the Opera 25th Anniversary Encore is not showing in any theaters in the area.